The authors seek to extend acculturation research, which traditionally focuses on acculturation experiences in high-status countries, such as the USA. 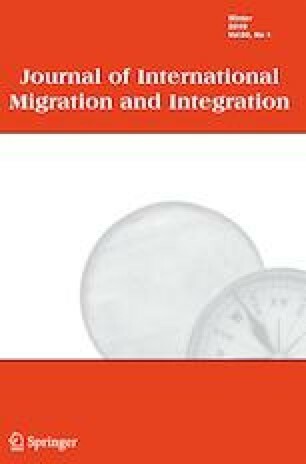 In contrast, we investigate migration between countries with similar social statuses using a unique sample of international students. Structural equation modeling was employed to investigate a complex mediation-moderation model of acculturation. Participants were 154 students from Iran who attended various universities in Malaysia. The results indicated that (1) home cultural orientation positively predicted depression; (2) perceived social support in the host culture negatively predicted depression; (3) perceived social support from the home culture positively predicted home cultural orientation; (4) acculturative stress mediated the association between home cultural identification and depression; and (5) perceived social support, either from the home or host culture, did not buffer the acculturation-depression relationship. Moreover, the moderating role of acculturative stress indicated that immigrants are predisposed to negative health outcomes when stressful events intensify. The results provide support for an alternation model of the acculturation-depression association, in which biculturalism is not the most effective orientation for adapting to the host culture. The authors thank Dr. Floyd W. Rudmin for his review and guidance on the early draft of this article. Brown, J. D. (2009). Statistics corner. Questions and answers about language testing statistics: choosing the right number of components or factors in PCA and EFA. Shiken: JALT Testing & Evaluation SIG Newsletter, 13(2), 19–23 Retrieved April 24, 2018 from: http://jalt.org/test/bro_30.htm. Falavarjani, M. F., & Yeh, C. J. (2018b). A Phenomenological Study of Adaptability, Multiple Identities, and Acculturative Strengths as an Iranian Immigrant in Malaysia International. Journal of Social Science Research, 6(2). https://doi.org/10.5296/ijssr.v6i2.13405. Muggeridge, H., & Doná, G. (2006). Back home? Refugees’ experiences of their first visit back to their country of origin. Journal of Refugee Studies, 19(4), 415–432. https://doi.org/10.1093/refuge/fel020. Project Atlas (2017). Project Atlas 2017 release. Retrieved January 29, 2017 from https://www.iie.org/Research-and-Insights/Project-Atlas/Explore-Data/Current-Infographics. Rudmin, F. W. (2006). Debate in science: the case of acculturation. AnthroGlobe Journal. Retrieved January 6, 2017 from http://www.anthroglobe.info/docs/rudminf_acculturation_061204.pdf.